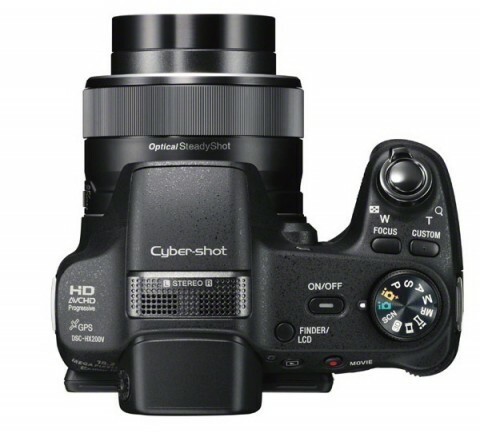 The Sony Cyber-shot HX200V is a superzoom bridge camera that has the grip and styling of a DSLR. 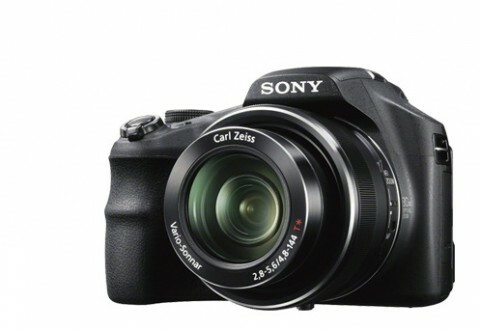 This camera offers a 30x optical zoom Carl Zeiss Vario-Sonnar lens, built-in GPRS with a compass and an 18.2 MP EXMOR R CMOS sensor. 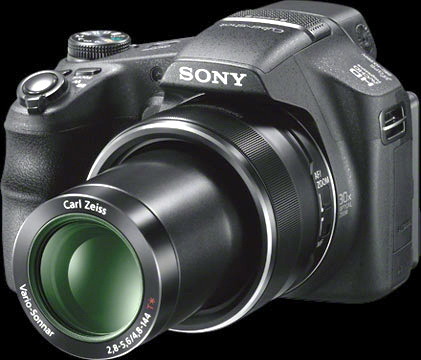 The Sony HX200V has also a tilting 3″ LCD screen, an electronic viewfinder, the Active 3-way Optical Image Stabilization and BIONZ image processor. 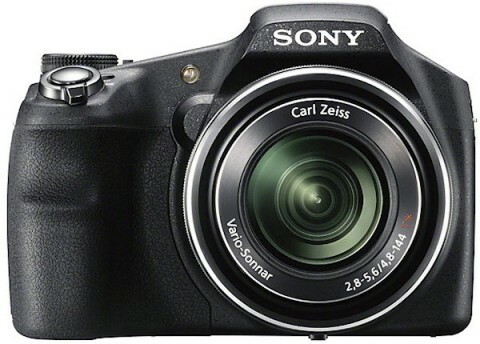 Other key features of Sony HX200V include 1920×1080 50p Full HD video recording with stereo sound, 3D still images, ISO range of 100-12800 and a range of Picture Effects. 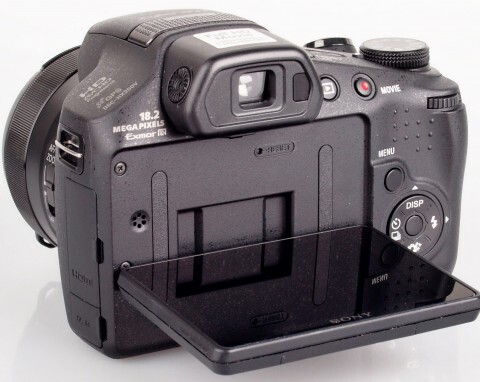 The build and finish of HX200V is of high quality, with various DSLR-like controls and dials. The HX200V is designed for the more active shooter with need for a better grip than that of a traditional point-and-shoot. The backlight correction HDR (high dynamic range) feature combines three exposures and puts them into a single image with much improved dynamic range. 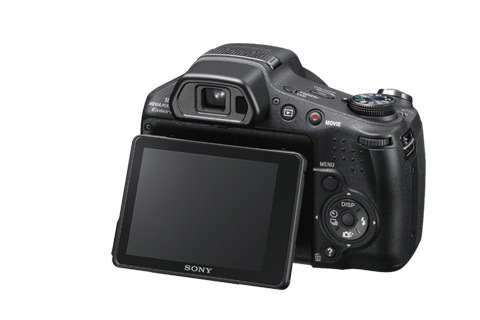 The Sony HX200V shoots the burst quickly that a tripod is not needed. More about such details you can learn from the Sony Cyber-shot HX200V review on dpreview.com website. The experts from techradar.com notes that the EVF of HX200V has a built-in eye sensor that activates the display when it detects the pupil of the eye, and turn it off when you move away. 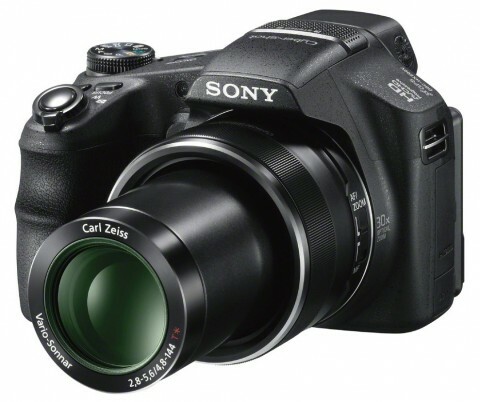 Another short Sony HX200V review comes from whatdigitalcamera.com website. 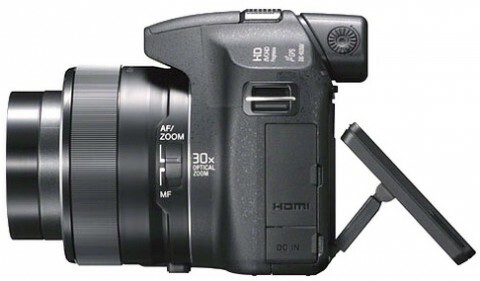 You can read on this website more details about design, features and performance of Sony HX200V. 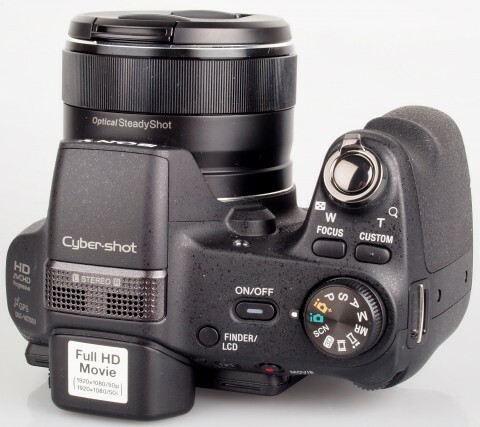 As an all in one with ‘DSLR lite’ style handling that really does offer most, if not all, of what you need – and delivers consistently high image quality – the Sony Cyber-shot DSC-HX200V takes some beating if a big zoom really is chief among your imaging requirements. Video quality is good in the HX200V. The one touch video button initiates capture promptly. The microphone can be sensitive to wind noise but there is a wind cut feature that may be enabled. More about these things you can find on digitalcamerareview.com.